Pasting Machine is useful for gluing the fluted side of the board and for pasting board to paper as will as to board for making 3-5-7 ply board. The model of this machine is different than the others and is full-enclosed model. The Machine is adjustable by rotating handle provided on one side of machine. BOXMAC Four Roller Sheet Pasting Machine is useful for gluing fluted side of board for making 3, 5, 7 ply corrugated board. 4 nos. M.S. Rollers with Hard Chrome Coated. Packaging Details: Wrapped in BOPP Film and Packed in Wooden Cases. 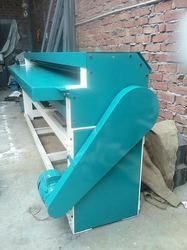 We are offering Slotting Machine to our clients. Adopt chain feeding way, digital counter to plan and design the order and the production quantity in advance. 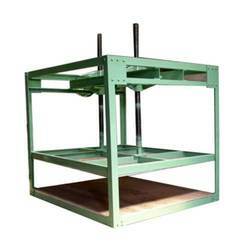 Sheet Pressing Machine is used for pressing of Corrugated Sheets. The glued sheets which are processed on pasting machine are piled on lower plate and then pressure is applied for some time by lowering upper moving plate. Looking for Sheet Pasting Machine ?